I love cooking during the week, but I have a lot more time to play at the weekend. I often make fresh bread on a Sunday morning when everyone else is asleep – I have times of insomnia so bread-making is more productive than counting imaginary sheep. However this pizza was made in daylight hours. This recipe makes 6 medium sized pizzas. I made a mountain heap of flour and added the salt and sugar (the base was a little too sweet for me so in future I will halve this). Add water slowly and stir in with a fork. 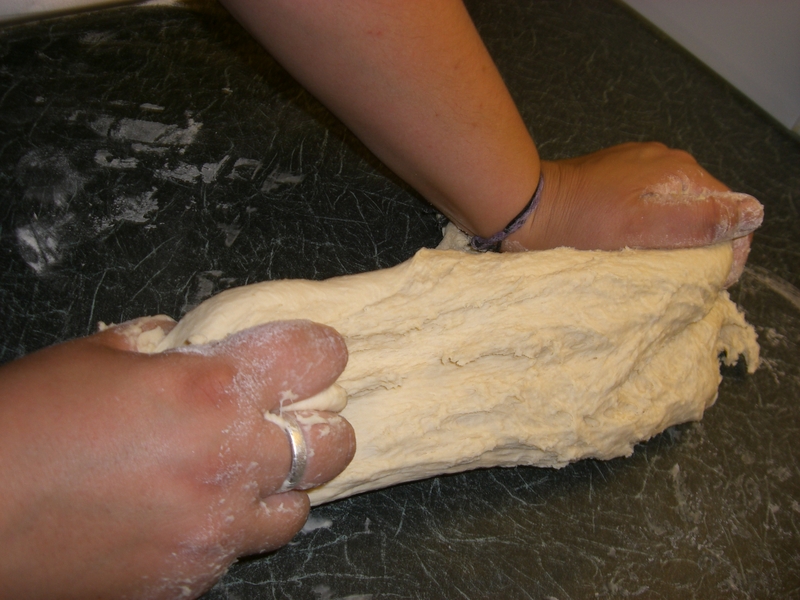 When it is all sticky and all the water added, get your hands in and knead for ten minutes till the dough is smooth. Cover with cling film and leave for about 15-30 mins at room temperature. 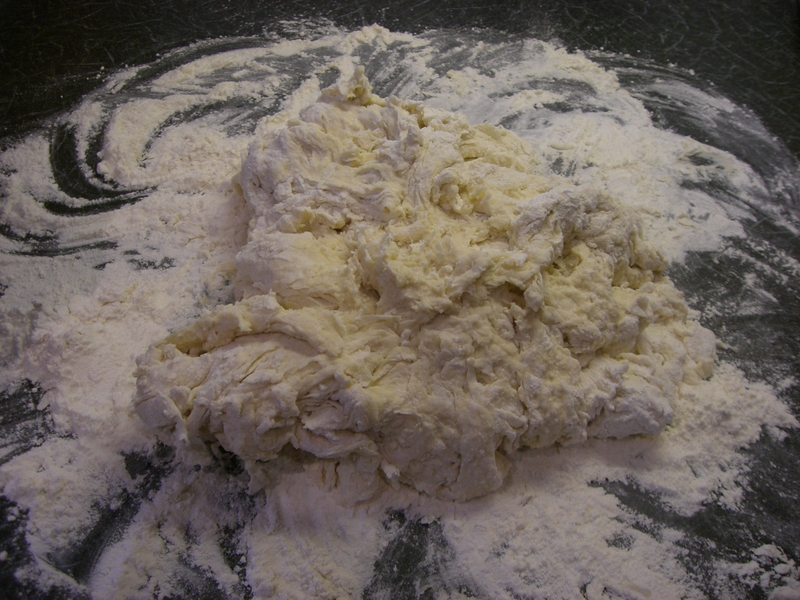 When it has risen, split the dough into 6 balls. On a floured surface roll out to 1cm thick then put it on an oiled piece of foil. You should have a stack of 6 rolled out pizza bases. Leave them for 15 minutes. For the toppings add creamed passata to the pizza base using a palette knife. Then add the chopped mushrooms, ham, sliced tomatoes, olives and mozzarella chunks. It is your choice how you do this, whether to arrange artistically or throw all on it if you are pushed for time. 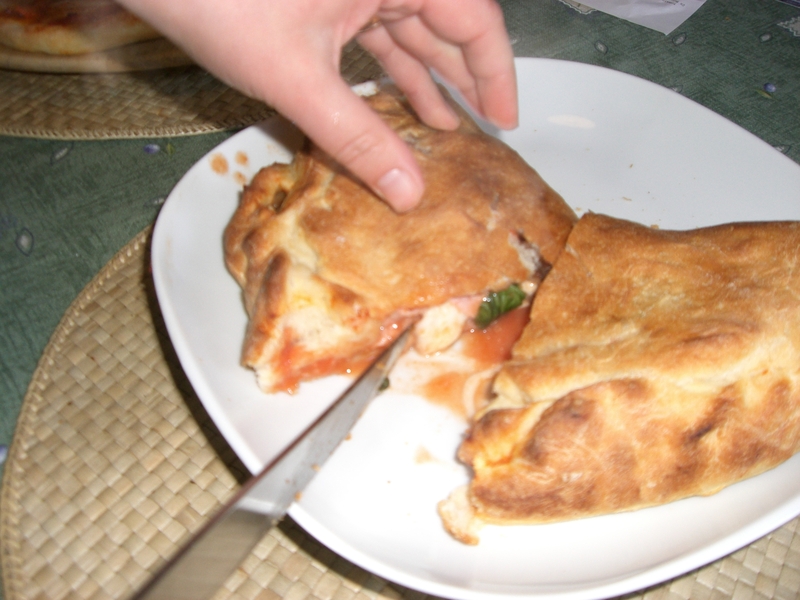 I must admit to a slight adaptation when one of the pizza base got stuck to the board I made it into a calzone, – good rescue. Unfortunately I can’t post smells to my blog – the house smelt of freshly baked bread with a hint of melted cheese. 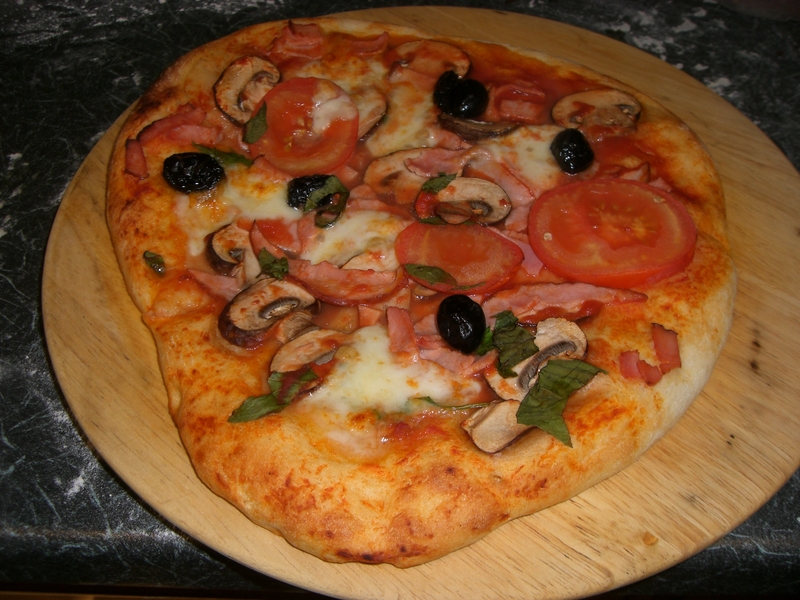 This entry was posted in Recipes and tagged calzone, ham, homemade, mushroom, pizza. Bookmark the permalink. Nice save. I have not heard of tomato pasata before .. is that just Italian for paste, maybe? I think passata is made from plum tomatoes that have been pureed and sieved. It is available in most supermarkets and and can be smooth or chunky. It doesn’t have the concentrated flavour of tomato paste. And, a slightly overcooked flavour I find. Thanx for the response!